Unfortunately there is no right answer to this question. Like many items, services, and investments you purchase, it is a matter of how much discretionary money you want to spend on your coverage, and what your tolerance for risk is. 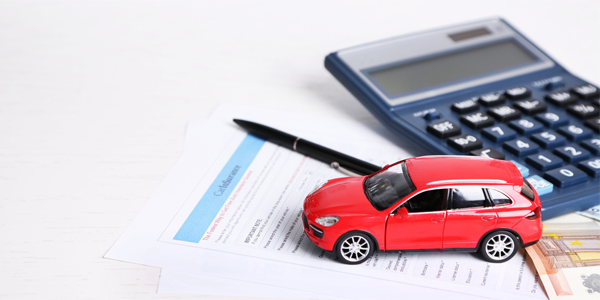 The best way to decide what and how much auto insurance to purchase is to understand exactly what the options mean and how they protect you and your family. Commonly under-valued insurance choices are the Underinsured Motorist and Uninsured Motorist Coverages. Underinsured Motorist Coverage and Uninsured Motorist Coverage – These two insurance features, although separately offered and selected, are similar in the protection they provide. These coverages protect you and your family members by providing additional coverage if one of you is injured in an accident that is another driver’s fault and that driver either does not have enough insurance to fairly compensate you for your injuries or does not have any insurance (yes, there are drivers out there driving illegally). Current Pennsylvania law only requires drivers to carry $15,000 in bodily injury liability coverage, and many drivers purchase only the $15,000 state minimum. Additionally, many more drivers who elect higher limits still have only $25,000, $50,000 or $100,000 in liability limits. Common injuries, such as fractured bones and disc herniations, may routinely exceed these dollar amounts. Without the additional protection of underinsured motorist coverage, you may not be adequately compensated for the injury. If the accident is the fault of someone driving illegally with no coverage, the uninsured motorist benefits you purchased on your own auto insurance policy may be the only compensation available for the injury. There are similar risks to consider when electing other auto insurance coverages including but not limited to: Full versus Limited Tort Election; First Party Medical Limits; First Party Wage Loss Coverage; Liability for Bodily Injuries; and Liability for Property Damage. It is important to carefully discuss your options with a knowledgeable professional, who thoroughly understands the various coverages and who clearly explains what you are really buying, or perhaps more importantly giving up, in making your selections.